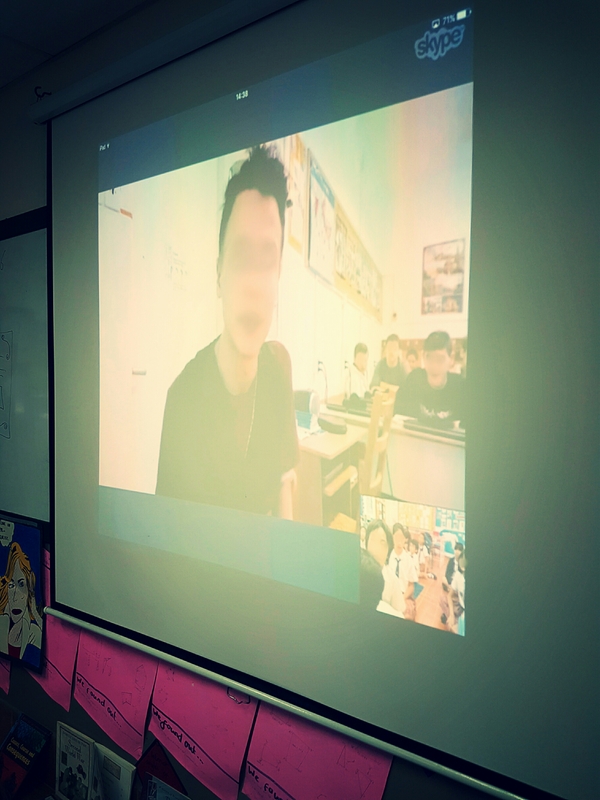 Mystery Skype is a global guessing game where 2 classes from anywhere in the world Skype each other, taking it in turns to ask yes/no questions to determine where the other school is located and what it’s name is. The first class to find out wins! How do you organise a Mystery Skype? First visit the Mystery Skype website. Next click ‘Find A Classroom to Play With’. Choose someone who teaches a similar age range and is in a suitable timezone. Click on their profile and ‘Request a Mystery Skype’. This sends your name and email to the teacher. 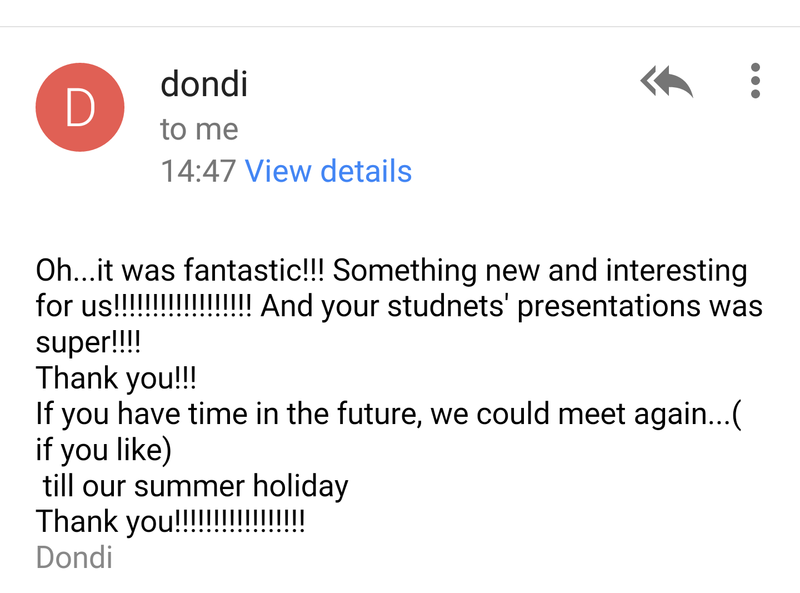 I found a teacher in Hungary called Dondi and before the Mystery Skype we exchanged a few emails, so that we felt prepared. After agreeing a date and time, we were all set to go! Dondi sent me a PDF with a list of questions that the students could ask (this was great preparation for everyone). Click here for the PDF: Myteryskypequestionsshort . 5th March at 2PM our time, 9AM their time (do check that you are both at school at the same time! ), we did the ‘Mystery Skype’. 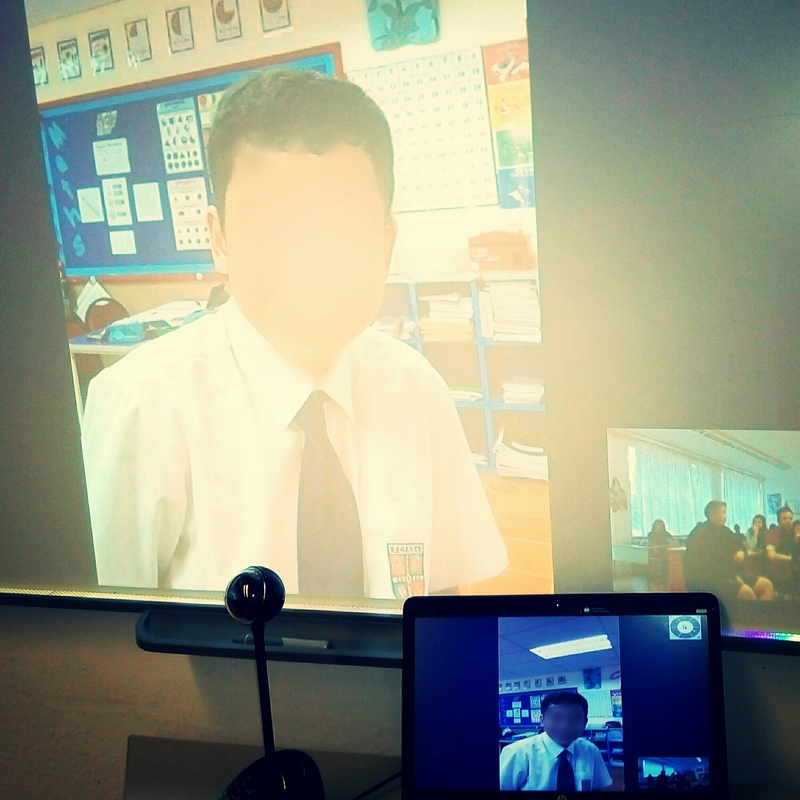 It was really interesting to hear exchanges between the classes and the questioning certainly improved as the session progressed (at the beginning someone asked, “Do you buy milk in bags or bottles?”) ! The students could use their ipads during the session to research and find clues in answers. The equipment I used to Mystery Skype was an iPad (with the Skype App) and an Apple TV to project the live stream to the class. At the end of the session, both classes did a presentation about their city and country. This was a great geography lesson in itself. 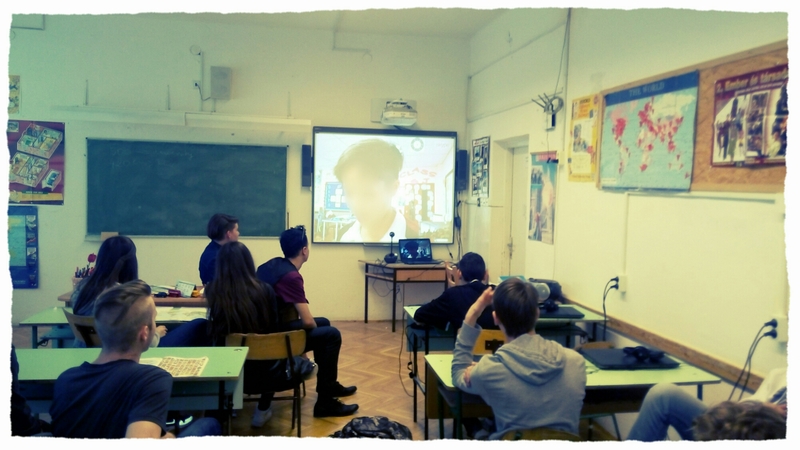 Click here for the presentation which Dondi’s class showed us: https://sway.com/eR4nCd3O2jNdEFXc. My students learnt lots about the country Hungary and Budapest, the city in which the school was located. 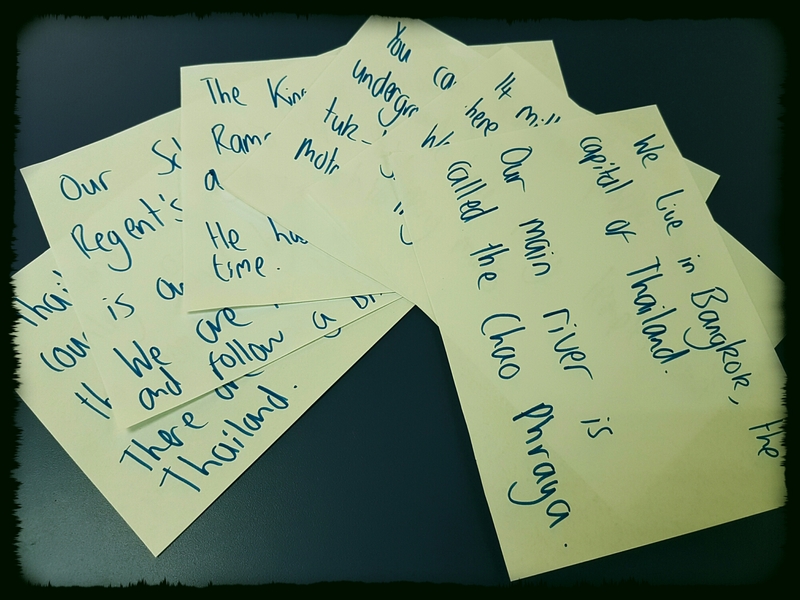 After the Hungarian class’s turn, mine did an oral presentation using notes on prompt cards. 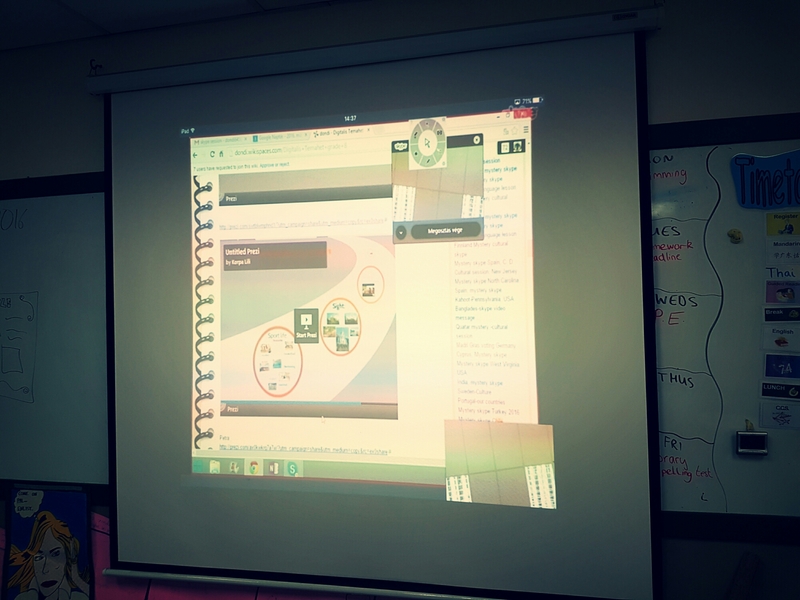 Following the session, while the students went to break, myself and Dondi talked and evaluated the process. We ended the Skype session and exchanged final emails (we will certainly be in touch for more collaborative work). In conclusion, the Mystery Skype was a success and a great experience for both myself and my students. Have a go! Let me know how your Mystery Skype goes by commenting below. Next How To Use Google Docs For Collaborative Work.